Today most people see jury duty as a hassle, and to be avoided if at all possible (and just in case this is you, you can find the list of jury duty exemptions in NSW by clicking here). 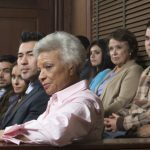 Historically, the right to a trial by jury was seen as a valuable one – a cornerstone of the justice system, because it involves the public in the decision-making process and prevented a counterpoint to the power and authority of the state. Today some wonder whether the days of jury trials should be over, or whether the advantages of the jury system still outweigh the disadvantages. In NSW it is your right to trial by jury if you are charged with an indictable offence – but since 1990 you also have the right to trial by judge alone, if you think that this would serve your interests better (providing that the Director of Public Prosecutions consents). If the accused elect trial by judge alone, this is reversible at any time up until a date is fixed for the hearing (either by the accused or the prosecution), according to section 132(A)(3) of the Criminal procedure Act 1986. The exception to this is for Commonwealth offences which must be tried by jury. 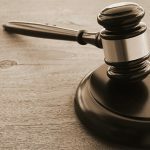 Since 2010 there has been a significant increase in the number of judge-alone courts – and there are good reasons for this: the costs and efficiency as well as the many problems that the jurors themselves can bring. Jurors have often been capable of weird and wonderful things during trials, often directly contrary to judge orders: sometimes (against strict instructions) juries have conducted their own experiments or ‘research’ outside the courtroom; visited the alleged scenes of crimes on their own, and in one case, even called upon a Ouija board to help them decide if the accused was guilty in a double murder case (the Ouija board said he was). A few years ago, one UK trial made headlines – and not just because it was a multi-million-pound drug case. 40-year-old Joanna Fraill, a juror, actually contacted the defendant, after looking her up on facebook. Due to this communication, the defendant was initially acquitted. Appearing before the High Court on charges of contempt of court, Fraill sobbed, rocking back and forth, before admitting that she did communicate with the defendant. Fraill said she felt empathetic because of the parallels between the defendants life and her own. It was the first case prosecuted in the UK for contempt of court involving the Internet. Australian juries have been warned of Fraill and her sentence of eight months of jail time. Read more about Frail’s case here. In addition, juries are more likely to be swayed by physical appearance, beliefs, race and ethnicity, as well as media repors, than a judge. And a jury may not understand what the phrase ‘beyond reasonable doubt’ means – which is the standard of proof that the prosecution is held to. 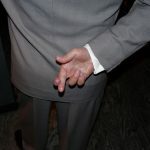 In a situation built on circumstantial evidence, it is possible that a jury will be swayed to convict whereas a judge, who has a legal understanding of ‘beyond reasonable doubt’ would not. 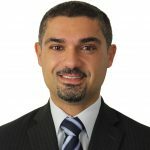 New South Wales legislation allows the court to order a trial by judge alone if there is a “substantial risk” of juries or witnesses of tampering in a way that cannot otherwise be prevented. All these botched jobs no doubt pose a “substantial risk” to tampering and the miscarriage of justice. The above scenarios almost inevitably end in a retrial, extra costs, time and stress that is draining on witnesses, prosecution and defence alike. Jury trials tend to take longer than those by judge alone. The founders of our constitution evidently thought it was important because the right to a jury trial is guaranteed in the constitution, in regards to Commonwealth matters at least. It comes from the idea that people should be tried by their peers, not by someone who may be out of touch with community values. This has been entrenched in our legal system for centuries, stemming from the medieval equivalent of wanting someone other than the ‘rich white guy’ deciding their case. It is still the preferred system in NSW is because it involves community participation in the administration of criminal justice. And trial by jury is not without its benefits to the accused. If the person on trial is a generally well-liked in the public arena, trial by jury could well be advantageous. 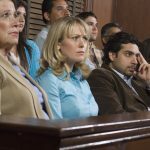 A jury trial may also work to your advantage if the evidence against you is pretty damning – in this situation a judge is not likely to let you off, but with a jury you may just get lucky. In addition, trials by jury may provide more grounds on which to appeal, if you weren’t happy with the verdict (although this would have effects on costs and consume more time). And given the fact that juries only hear about 3% of all criminal cases in NSW, arguments about costs and the time-consuming nature of jury trials on the justice system are not decisive.